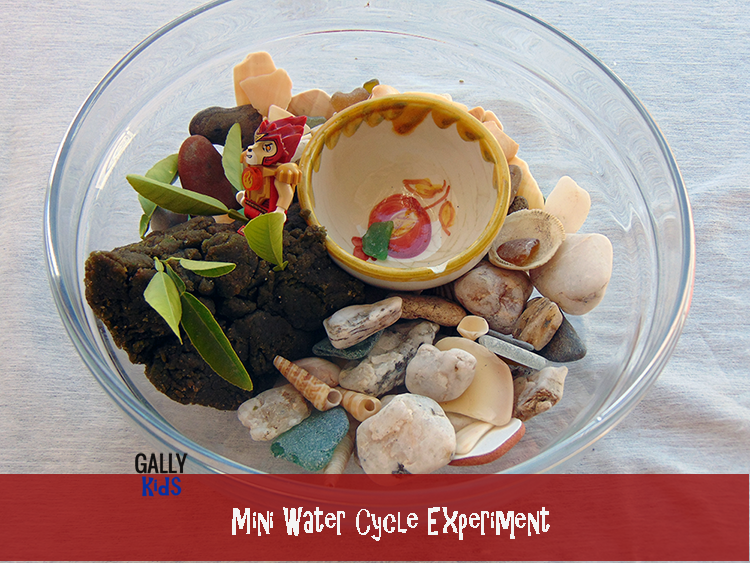 A water cycle experiment is one of the easiest experiment you can do with your kids at home. It’s also a great starting point for a discussion about the wonders of nature and of course, the science behind it. We’ve made a few water cycle experiments at home, but the one below is the one I like best when it’s a hot summer’s day. First, arrange the rocks or sand in the bottom of the bowl. We are recreating the earth here. My son had a lot of fun arranging the shells in the bowl. Next, place the small bowl in the big bowl surrounded by the land. Add more rocks or sand to get the smaller bowl in place to make your mini earth look lovely and nice. 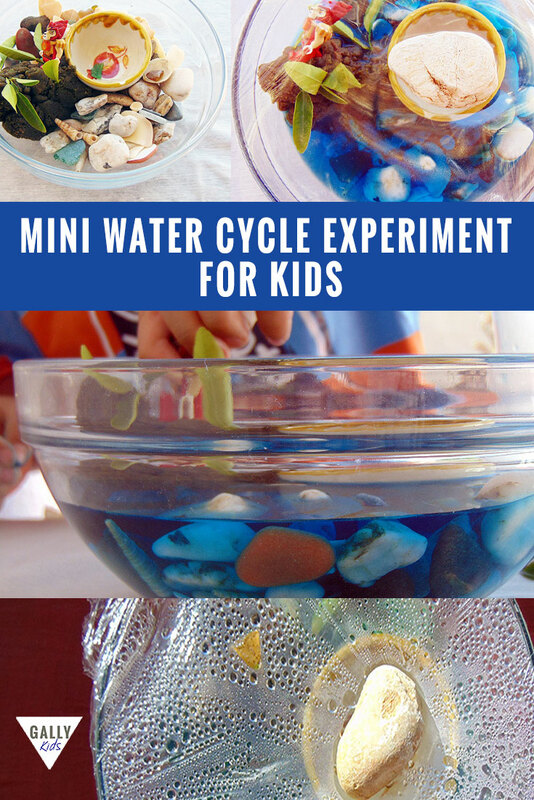 Children love doing this too and that’s always a good way to get them all excited about this water cycle experiment. Now Add the mound of playdough for the mountain. Make it as big and as pretty as you want. You can even add lego characters and leaves and twigs to make it more realistic. 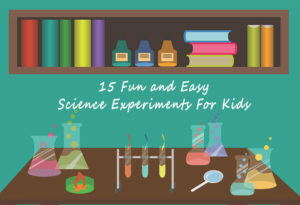 Let’s move on with this fun STEM activity. 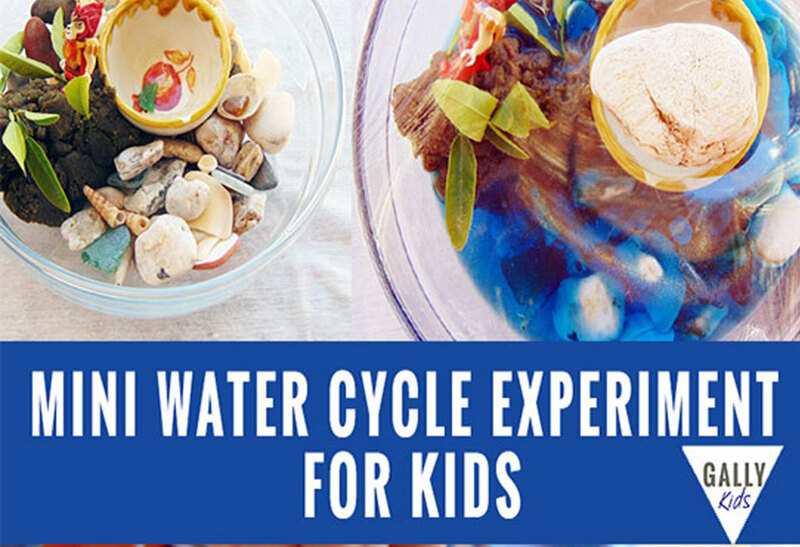 Once you’re done making the “earth”, put it aside and mix a bowl of water with some blue food coloring. This is going to be the ocean. Once the water has turned blue, pour it on your earth in a bowl. Pour it slowly until the water is about a half of a centimeter below the rim of the small bowl. Next cover it with saran wrap and put a rock or rocks right where the smaller bowl is. 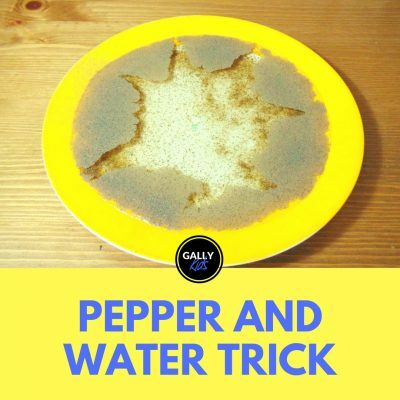 This makes a dip in the surface to help the water droplets fall straight into the small bowl. Now put the bowl outside in the sun. This is the quickest way to see the water cycle. After an hour two in the hot sun, the sea water from the big bowl will make water droplets on the saran wrap. This represents the clouds. If you don’t have any patience like me, you can tap the wrap to help the water flow into the small bowl quicker. It’s nice to see the water droplets slide down the wrap towards the little bowl. We even made a small hole on the wrap to feel how hot the water was. You can also just take the bowl in a cooler place and let the water slide down to the small bowl by itself. 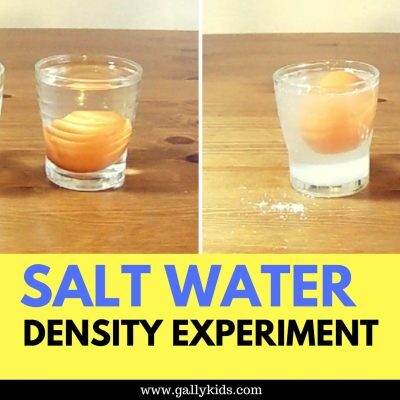 If you would rather watch this experiment on video, you can watch our video below. For more science stuff and family-friendly videos, don’t forget to subscribe to our Youtube channel! 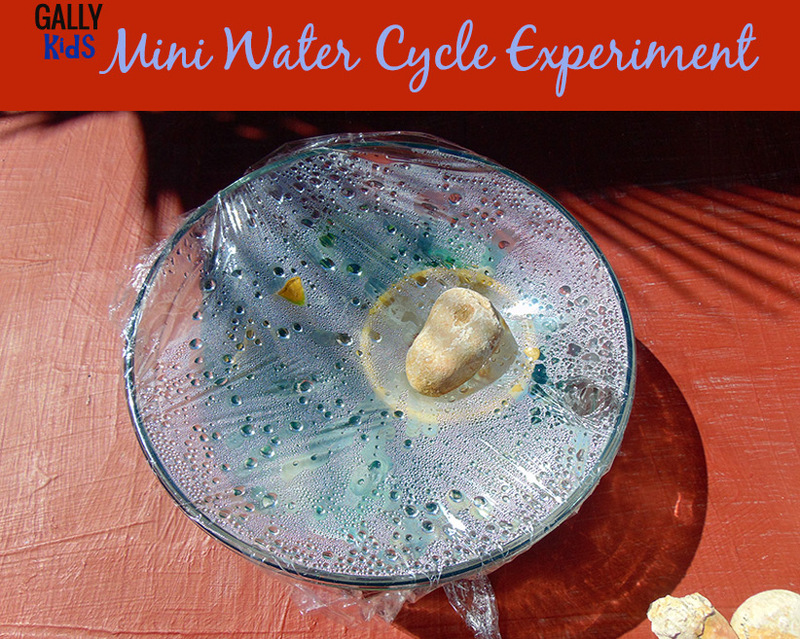 Some more water cycle experiment ideas plus free lesson plans for teachers and homeschooling families. Also covers information on the world’s water problems and some solutions that we can all participate in. A script for a play by enchanted learning. 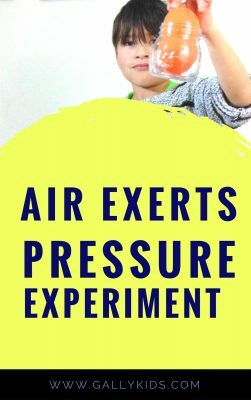 Get the kids moving and learning with this easy to reenact play. Props not necessary! All About the Earth’s water problems. 5 pages on what you need to know about the global water shortage. A song about the water cycle. 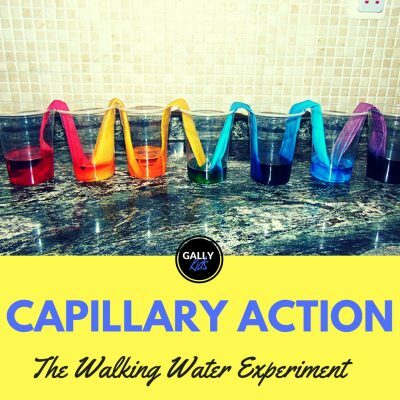 A song saying “the main hero in the water cycle is water”…. and find out who the unsung hero is! Water cycle, you’re the best! 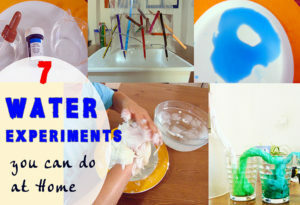 Who Else Wants To Do These Amazing Water Experiments For Kids?